Honoree has lived in Chelsea for 45 years. 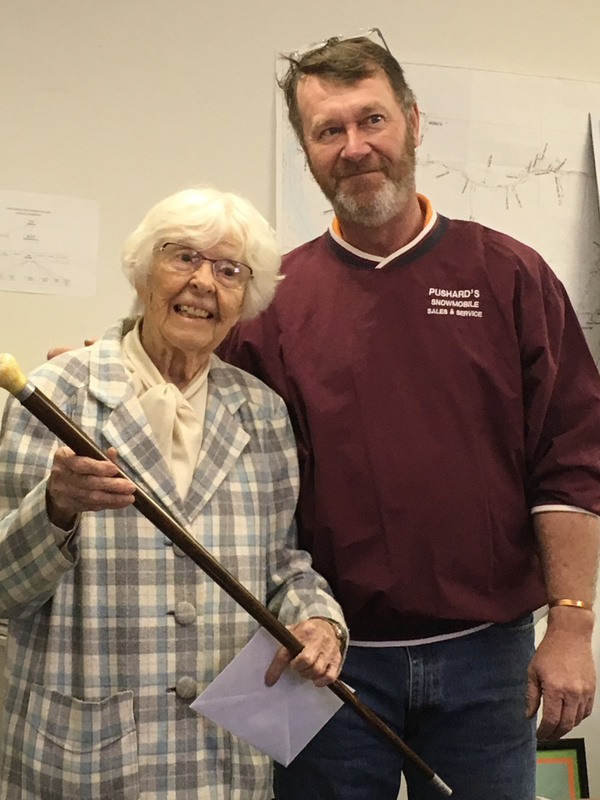 Gene West, 91, of Chelsea, recently was presented with the Boston Post Cane during a brief ceremony at the Chelsea Town Hall, according to a news release from Sheila McCarty, Chelsea town clerk..
West moved to Chelsea 45 years ago. A bad storm at Christmas time left her without power while family was visiting her home in Augusta, and she vowed to her mother she would buy a house with a chimney. She found one in Chelsea, and since 1972, she has heated her home with her wood stove, for which she hauls wood herself. 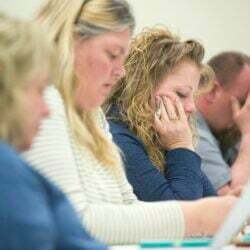 West attends the annual Town Meeting regularly, except for last year, when she couldn’t get a ride. A ride has been arranged for her this year. She has advocated for the Meals on Wheels program in both Chelsea and Pittston. “I was thinking this afternoon that you don’t have to be beautiful to get this thing, you just have to be old. I’m not beautiful, but I’m old,” West said, according to the release.